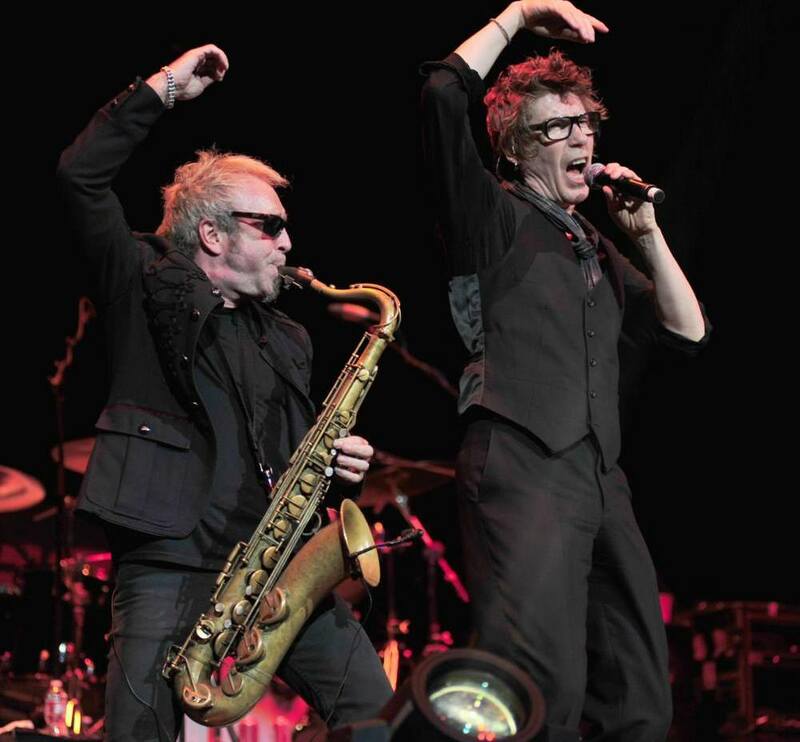 The Psychedelic Furs, whose name was inspired by the 1966 Velvet Underground song "Venus in Furs," were formed in England in 1977 by brothers Richard Butler (vocals) and Tim Butler (bass), along with saxophone player Duncan Kilburn and guitarist Roger Morris. By the time they released their self-titled debut album in 1980, the group had become a sextet, adding guitarist John Ashton and drummer Vince Ely. That album, featuring Butler's hoarse voice (the tone of which suggested John Lydon without the sneer) was a bigger hit in England, where it reached the Top 20, than in the U.S.
Talk Talk Talk did better, reaching the U.S. Top 100 and producing two British singles chart entries, one of which was "Pretty in Pink," later also a hit in the U.S. when a new version was used as the title song of a film. Forever Now (1982) saw the band reduced to a quartet with the departure of Kilburn and Morris. The rest moved to the U.S., turned to producer Todd Rundgren, and scored a U.S. Top 50 hit with "Love My Way." Ely then left, and the remaining trio of the two Butlers and Ashton made Mirror Moves (1984), the biggest Psychedelic Furs hit yet. The film Pretty in Pink helped spread their name further before the release of their next album, Midnight to Midnight (1987), which consequently got to number 12 in the U.K. and the Top 30 in the U.S. and included the Top 30 U.S. hit "Heartbreak Beat." Book of Days (1989) marked the return of Vince Ely, but was a considerable commercial disappointment. World Outside (1991) also failed to find an audience. The Psychedelic Furs then folded up shop, and Richard Butler launched a new group, Love Spit Love. The band lasted two albums -- 1994's Love Spit Love and 1997's Trysome Eatone -- and didn't enjoy the monumental success of Butler's original band. Butler kept on. He began writing songs for a supposed solo effort as the '90s came to a close. Those sessions led to new songs with brother Tim and a subsequent Furs reunion in early 2000. With both Butlers and John Ashton living in upstate New York, the time was right. They tested the waters and their audience for a joint summer tour with the Go-Go's, and the reception was warm. A year later, The Psychedelic Furs -- now featuring Love Spit Love guitarist Richard Fortus and drummer Earl Harvin -- headlined their own club gigs across North America and a classic Richard Butler was keen to be back in the right place. Beautiful Chaos, a live album capturing some of the band's greatest hits from the last tour, was issued in November 2001. Their first live album ever, Beautiful Chaos was a gift for the loyalists. It also introduced their first new song in almost ten years, a somber ballad entitled "Alive."